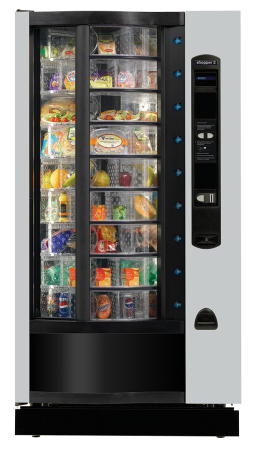 Festival is the smart solution for locations needing to offer catering services 24/7, not just a vending machine but a true automatic canteen. 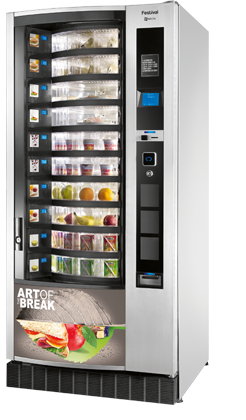 The extreme flexibility of configuration allows the user to choose between snacks, drinks, fresh dishes, fruit and yoghurt. The enhanced electronics of Festival offers an advanced machine and product management. Festival achieves the energy rating of A+ (EVA EMP 3.0 protocol) thanks to the excellent performances in energy saving.